Montessori Blocks (iPad) – a color and number pattern match game. 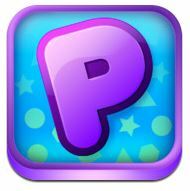 Patterns by EdNinja (iPad) – Complete patterns and learn early math skills. 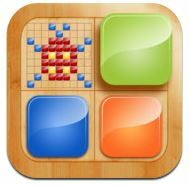 Color Dots by Ellie’s Games (iPhone/iPad) – A visual tracking activity of capturing colored dots. Little ABC Writer HD (iPad)- Practice drawing letters out of sequence. Check out these apps and share if you have or will use these in your mTool Kit! This entry was posted in Apps for OT's, Apps for Special Needs, AT for Handwriting, Early Childhood, Education, Elementary School, Emergent Literacy, Fine Motor Development, Finger Isolation, iPad, iPhone, iPod, Math, Occupational Therapy and tagged App Review, apps for fine motor, Early Childhood, Fine motor apps, Handwriting, iPad, iPhone, iPod, occupational therapy, OT Apps, Visual Perception. Bookmark the permalink.